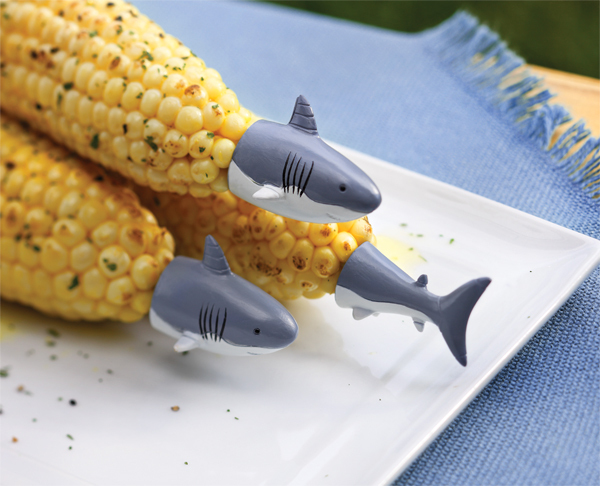 Get ready for corn on the cob season with these awesome Shark Shaped Corn Holders! 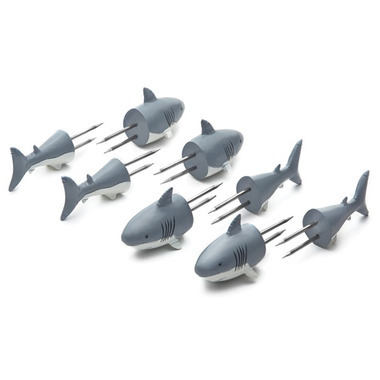 The stainless steel prongs will help you hold onto your corn tight, protecting your fingers. These are super cute and keep your hands clean, but one of the spikes fell off the first time we tried to use them.